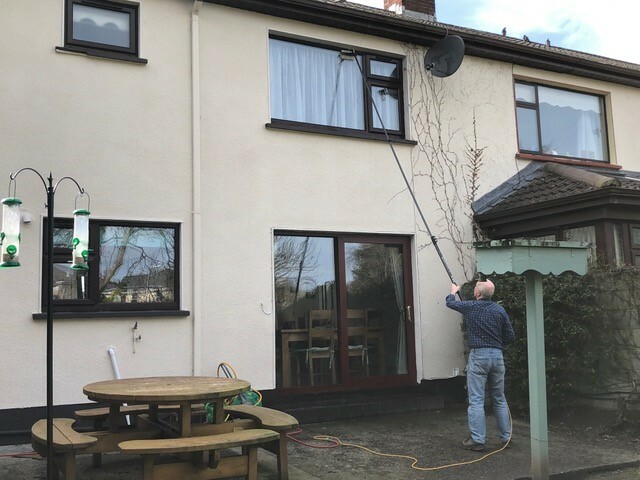 Cleaning high or awkward windows is something that is best left to the professionals for the sake of your safety – but now I can work safer than ever before and avoid the use of ladders completely for most projects. 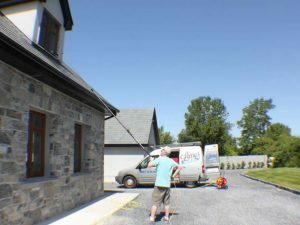 I use a HOT pure-water cleaning system that is specially designed for window cleaning. The carbon fiber poles are lightweight, and the soft bristled brush on the end has a constant flow of purified water running through it. 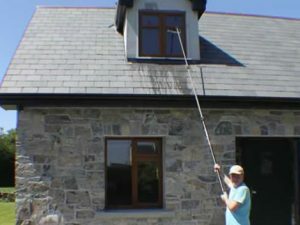 This lets me reach windows without using ladders at all – and clean them to a flawless sparkle!